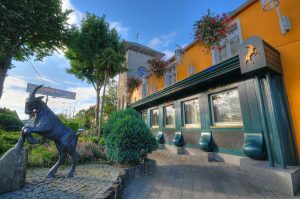 The Goat Bar & Grill is a landmark pub within driving distance from the hotel and serves a great selection of bar food. Sit outside in their spacious beer garden, which is heated during the cold weather. This is also the ideal pub for watching big sports games – very popular among locals. Give it a try! Known locally as the Leop Inn, this long-established gastropub provides delicious food, beers, wine and cocktails. 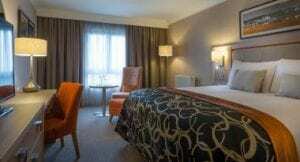 Effortlessly accessible from all parts of the country, Dublin Airport and city centre.